A newly built 81-bedroom LA Quinta Inn & Suites in Hershey, Pennsylvania gives an insight into the growing trend toward factory built system-designed construction for larger public buildings. The technique has been more commonly used for residential homes. Signature Building Systems is a leading manufacturer of custom designed, pre-site built homes: the building modules were manufactured in the company’s industry-leading modular home manufacturing facility. 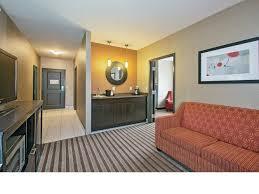 In addition to its 81 guest rooms, the La Quinta Inn & Suites Harrisburg-Hershey Hotel features a welcoming, modern design, heated indoor swimming pool, hot tub, state-of-the-art fitness center, dining area and flexible meeting facilities on three floors. Thanks to the modular construction method employed by Signature Building Systems, the hotel was constructed with minimal waste and the highest quality materials available. 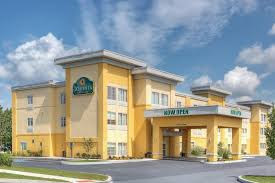 The hotel is located near the Hershey Foods headquarters and Hershey Park, as well as the Pennsylvania State Capitol, Harrisburg International Airport, Historic Gettysburg, and several colleges and universities.